We introduce a graphical framework for Bayesian inference that is sufficiently general to accommodate not just the standard case but also recent proposals for a theory of quantum Bayesian inference wherein one considers density operators rather than probability distributions as representative of degrees of belief. The diagrammatic framework is stated in the graphical language of symmetric monoidal categories and of compact structures and Frobenius structures therein, in which Bayesian inversion boils down to transposition with respect to an appropriate compact structure. 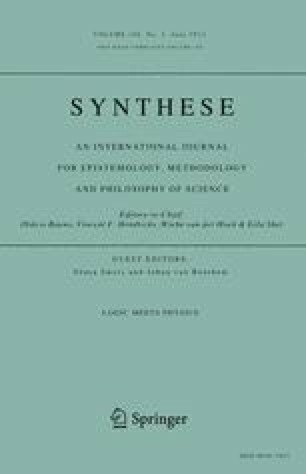 We characterize classical Bayesian inference in terms of a graphical property and demonstrate that our approach eliminates some purely conventional elements that appear in common representations thereof, such as whether degrees of belief are represented by probabilities or entropic quantities. We also introduce a quantum-like calculus wherein the Frobenius structure is noncommutative and show that it can accommodate Leifer’s calculus of ‘conditional density operators’. The notion of conditional independence is also generalized to our graphical setting and we make some preliminary connections to the theory of Bayesian networks. Finally, we demonstrate how to construct a graphical Bayesian calculus within any dagger compact category. Dixon, L., Duncan, R., Kissinger, A., & Merry, A. (2010). quantomatic software tool. http://dream.inf.ed.ac.uk/projects/quantomatic/. Melliés, P.-A. (2009). Categorical semantics of linear logic. http://www.pps.jussieu.fr/~mellies/papers/panorama.pdf.